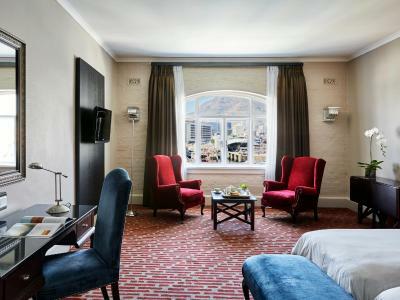 Lock in a great price for Victoria & Alfred Hotel - rated 8.8 by recent guests. The staff were fantastic and the real bonus of the stay. Location is great and the food in the restaurant was very good. 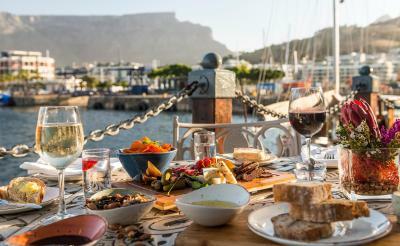 Superb breakfast and spectacular view of Table Mountain and waterfront. Ideal location for walking around, browsing the local shops. Great selection of cafes nearby. 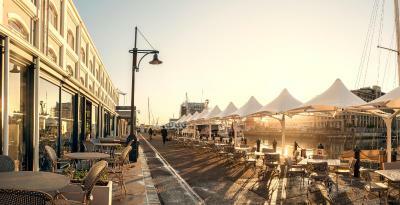 In the hub of the water front with great restaurants and vibe. 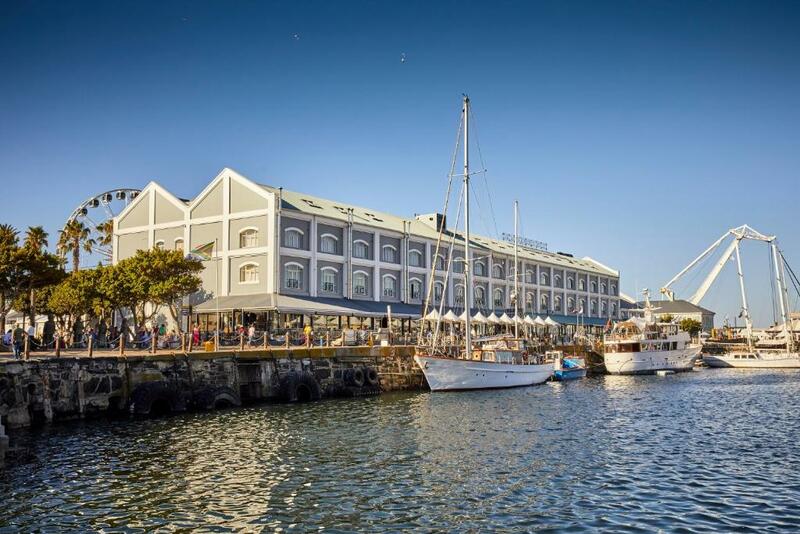 Location is fantastic, be sure to book a Table Mountain facing room, this also gives a view over the harbour and waterfront. Breakfast was good, not a vast endless buffet but one which ha everything you could want for breakfast. Staff were very friendly, particularly the front desk staff. 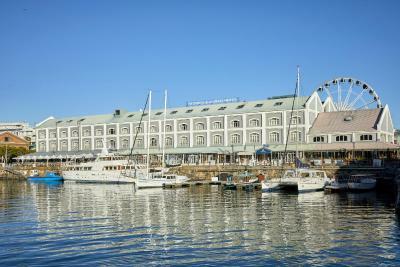 Perfectly located right on the V&A waterfront. This hotel was even better than it looks in the photos, the rooms were lovely and they upgraded us on arrival from the loft room we had booked. Breakfast was amazing, such a huge choice, everyone talks about the champagne and oysters but everything else was great too. The staff were lovely even the lift attendants, a special mention for Clint who had the whole restaurant under control at breakfast. Location is superb, we did not have breakfast as it was not included but I feel it should have been included for the price we paid. Room was spacious with all usual facilites. Breakfast was excellent. 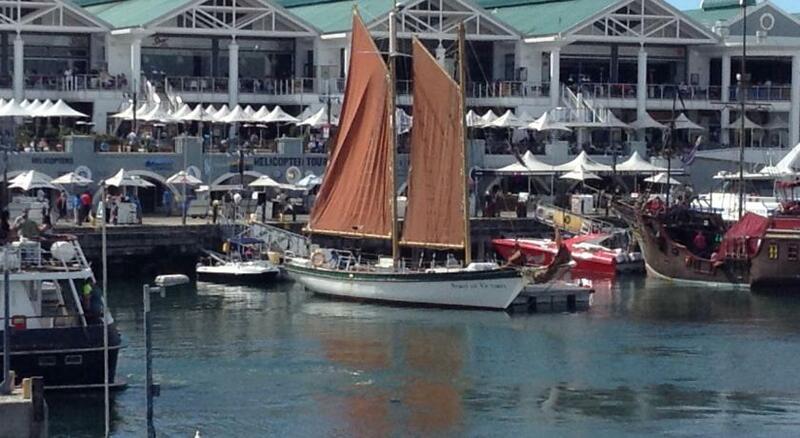 Location is best in the Waterfront area. 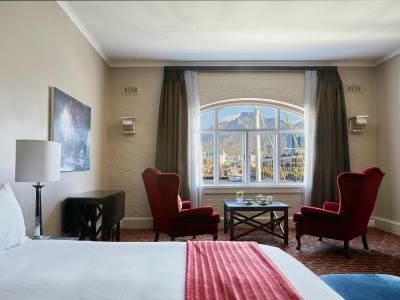 The beds were sooo comfortable, the view of the waterfront and Table Mountain perfect and the staff were brilliant, in particular lovely Joyce at breakfast who looked after us with such care and friendliness and Kindness, looking after us in the lift! My shower was not working and the housekeeping couldn’t fix or advise otherwise. So, I did not use the shower my entire stay. 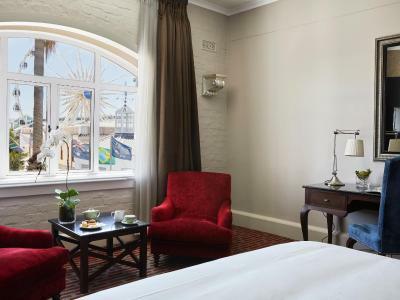 One of our top picks in Cape Town.Located right in the heart of the V&A Waterfront, this 4-star hotel offers a sun terrace with a bar. Free WiFi and parking are provided. 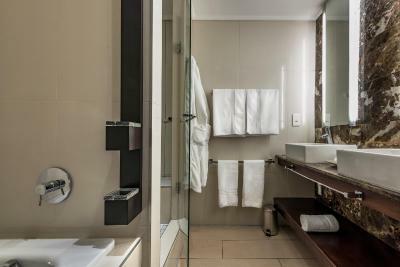 Offering views of the Alfred Basin, Table Mountain or the piazza, all the rooms and lofts at the V&A Hotel offer king-size beds, a minibar and an en suite bathroom with bathrobes. Free coffee, herbal teas and biscuits are also available. 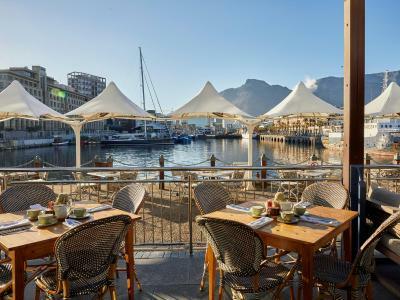 The Victoria & Alfred Hotel's Ginja Restaurant serves meals on the quayside terrace with harbour and Table Mountain views. 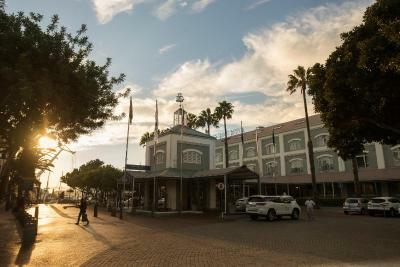 Guests can also enjoy breakfast at Dash restaurant, located at the V&A Hotel's 5-star sister property, Queen Victoria Hotel. 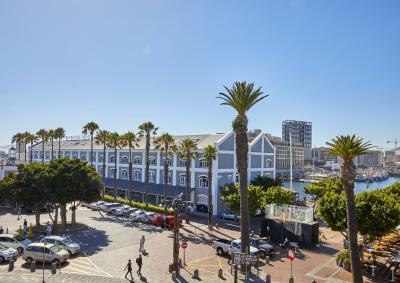 The surrounding area provides ample shopping and entertainment opportunities, from craft markets to cinemas and amphitheatres. 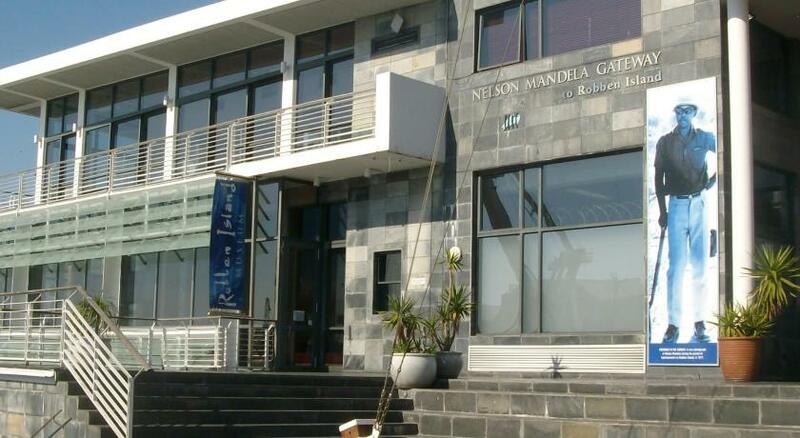 The Nelson Mandela Gateway to Robben Island is within 250 yards of the hotel. Guests can also make use of the hotel's pool, which is located across the street at the 5-star sister property, Dock House Boutique Hotel. Victoria & Alfred Hotel provides 24-hour security. 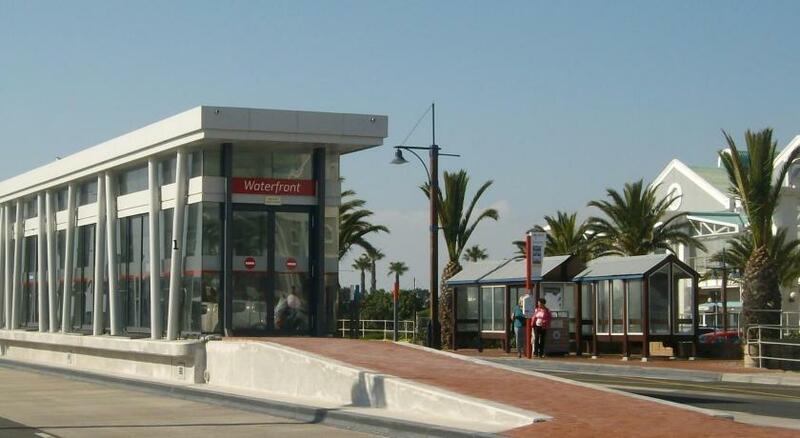 Waterfront is a great choice for travellers interested in shopping, restaurants and wine. 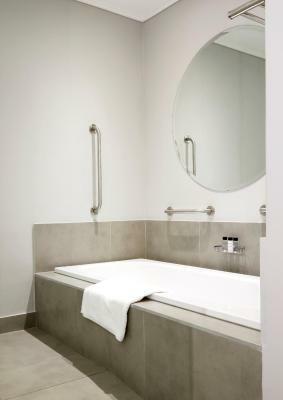 Victoria & Alfred Hotel has been welcoming Booking.com guests since 27 Mar 2009. 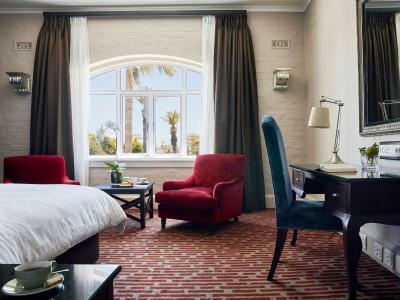 When would you like to stay at Victoria & Alfred Hotel? 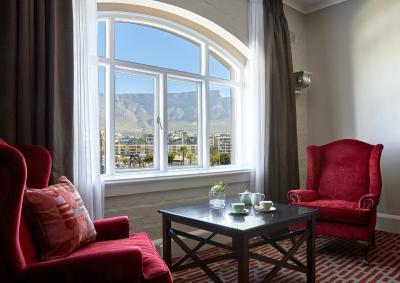 Elegant room offering panoramic views over V&A Waterfront and Table Mountain. 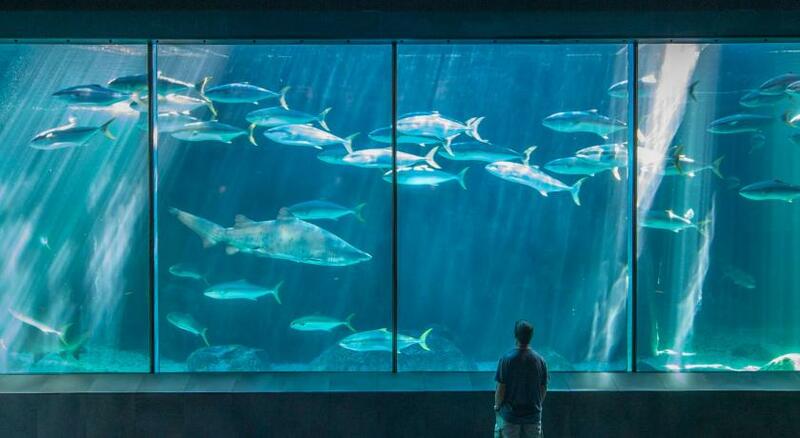 This room features a view over the Piazza. 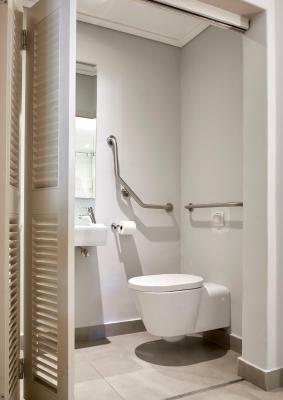 It also comes with a carpet floor, an LCD TV, and a bathroom with marble floor. Located on the 3rd floor. 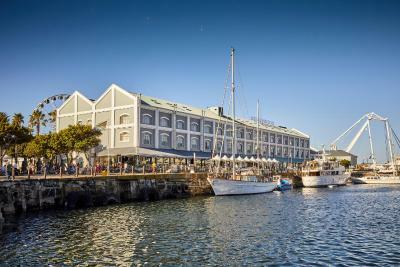 Offers views of Table Mountain or Victoria and Alfred Waterfront. Please note that this room cannot accommodate extra beds or babycots. 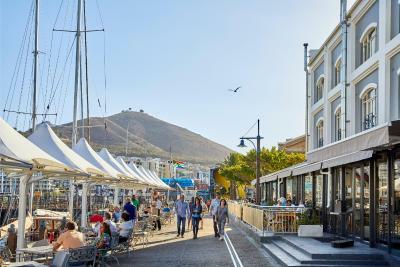 Hotel surroundings – This neighbourhood is a great choice for travellers interested in shopping, restaurants and wine – Check location Excellent location - show map Guests loved walking around the neighbourhood! House rules Victoria & Alfred Hotel takes special requests - add in the next step! Victoria &amp; Alfred Hotel accepts these cards and reserves the right to temporarily hold an amount prior to arrival. Victoria & Alfred Hotel accepts these cards and reserves the right to temporarily hold an amount prior to arrival. The water was never hot, it was warm or cold. There was no water in the room except a tiny bottle at night - not even in the mini bar to purchase. I found this strange and was parched. That we only had one night. Airport transfer was a bit pricey. 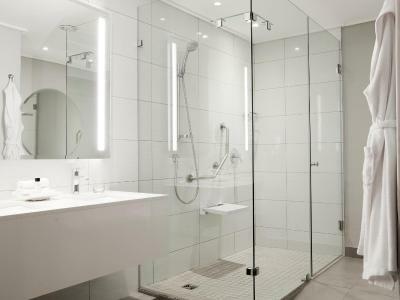 I had a late flight.It would have been great if there were shower facilities to freshen up once I had checked out and ran around the whole afternoon. Service at breakfast could be improved. Often waiting for coffee refills. The room was nice although a couple of niggles include lack of adequate lighting in the room and no power sockets next to the bed. Breakfast and location was excellent. We had a "double room" but it was 2 single beds pushed together which was disappointing. Staff. Location. Parking. Breakfast choices. Location could not be better! Right on the waterfront and fabulous views!!! Incredible generous breakfast included!!!! Staff so friendly and attentive! Great hotel!! !